As one of the UK's finest unsigned indie bands, The Swiines prepare to headline Nottingham's Rock City this Saturday (21st June), Eight Zero had the good fortune of designing a special limited edition print which will commemorate the band's victory of selling-out one of the most prestigious music venues of its generation. 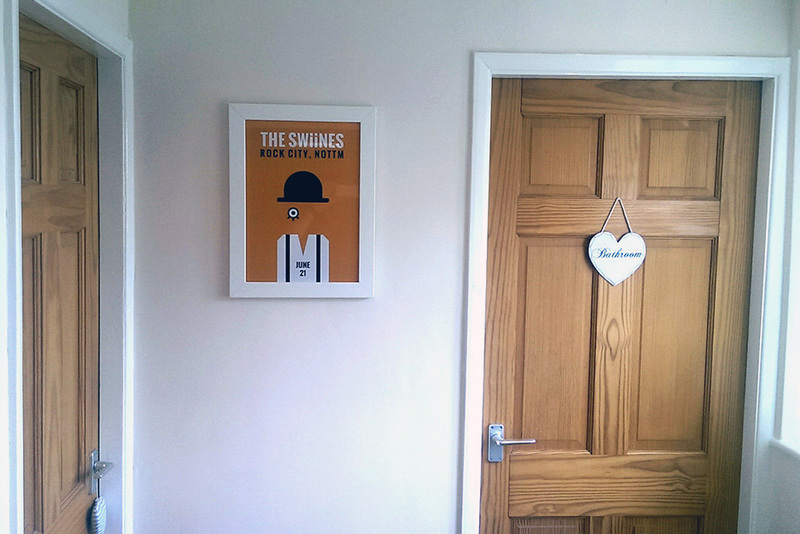 A set of Kubrick inspired, framed (limited 30, signed & numbered) prints will go on sale on the bands official website (www.theswiines.co.uk) from Sunday 22nd June. Digitally printed at A3 on 350gsm premium weighted stock.